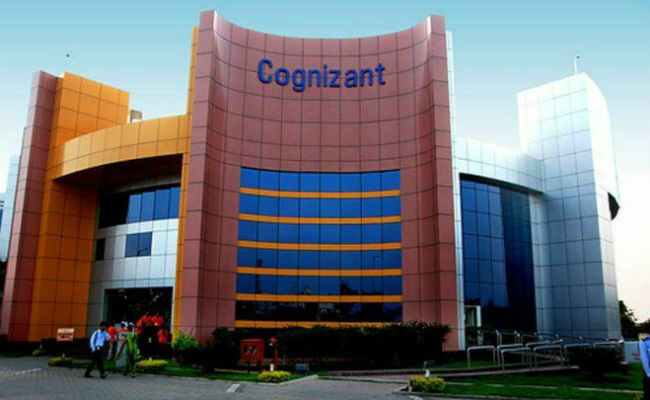 After publishing the article about Cognizant Layoff plan, we got more inputs from some senior level employees in Cognizant. The article below speaks in the first person, but is collated from inputs of various employees. Let me start with reproducing few recent email lines as is; for obvious reasons I am not able to publish the picture of the complete mail. But you are free to ask your respective delivery head about this and ask them to prove that this is wrong. There are more such content in this mail but I have picked up the only ones which may create the major impact on employees’ career. Let us also talk about the impact first, then I will focus on my thoughts and finally we will discuss the actions employees can plan. In this service practice more than 15% of the total strength, in mid and junior level employees are already on the bench for more than 1 month (4 weeks is the bench period) post 22% attrition (as published in CTS last quarter results) and the retrenchments which happened in 2016 end and 2017. Employees (onsite or offshore) immediately hits the bench and start looking for next project ( which obviously not there as there are already many more in the bench). After 3-4 weeks HR starts pushing these employees to resign using different means. Some of this methods could be quite horrifying. The employees rating immediately comes down to MA or MS. Obviously even if he gets a new project still he is under threat and would receive minimal increment and bonus. For some bench employees HR plans for a training which may be completely irrelevant to the work the employee has done or the experience the employee has gathered till date. So the options for the employee inside or outside CTS becomes more difficult. The employee goes through severe mental pressure of losing the job and the subsequent insecurity and instability for their family and themselves. The employee loses their job. I am not against automation or any other new technology introduction which can improve the end user operations and make it more efficient, but I want to insist that the gains of automation and technology improvements should be shared with the employees. Most of this automation initiatives are targeted for fixed cost projects, so that the automation benefits directly add to the company profit. What is your plan for the affected employees? Are you planning any relevant training/reskilling for to-be-affected employees in advance and helping them to make a smooth transition to new opportunities? Are you also alerting/communicating to the employees about the so called bench plan and keeping them posted so that they have enough time to explore a job outside in case their skills are not relevant? Are you sharing with each resource in the project about what is the present margin in this project and what is the future margin you are planning to achieve so that each of them can think and work hard towards that? Or it happens in closed doors and dumped upon the project resources? The last and most important, why CTS does not introduce the definition of bench and detailed bench plan in the appointment letter itself so that employees are prepared from day 1 and plan their expenses, plan their self driven skill up gradation accordingly. After each quarter discuss with your manager about what is your career plan he has within this project and within Cognizant. Preferably communicate this over emails so that you have some proof and the manger is also hesitant to take any not discussed actions. Keep on checking with your customer (if possible) about what Cognizant is proposing them recently. Don’t get scared in case you are sent to bench and clearly ask themin writing what caused the same. Post bench period, if HR ask you to resign please don’t sign any such document under any pressure. Please get very clear plan about your re-skiling /training plan during bench period and see to it that the proposed training plan is enriching your experience. Do remember Indian laws do not allow any company to retrench employees without taking proper government body approval and stating a cause. NDLF is guiding many employees to take legal challenges against illegal retrenchments. In the last 1 year, many employees who have been given retrenchment letter has filed 2A petition and then approached labor department for justice. There are dozens of legal disputes filed in various courts in Bangalore, Chennai, Hyderabad and Pune locations. There is a document called VRS plan floating around. The management intentionally did not use any company details in the draft version. If this separation agreement is not agreed mutually, don’t submit the document. As an employee, you are settled in life and it is your responsibility to give this to next generation. If you are happy with the severance package offered, we already specified the payment terms applicable in Industry standard. VRS package should be minimum 1 year salary. So don’t be in a hurry and consult your lawyer before signing these documents. Don’t allow HR to influence you and sign the document as required by the company, such as resignation letter. Think about your responsibility and don’t fall in prey to management pressures if you receive such letter from any company. As an employee, it is your responsibility to make IT safe place free from illegal retrenchments in the future and future generation to have safe job. Please read the book “IT life Fun or Problems“. This book is written by Shyam, President of NDLF IT Employees Wing to create awareness. The problem with us IT employees are not even know the fundamentals of law and companies are taking advantage of that. The cost of the book is Rs 60/- only and you can read this book online too or can buy the same through Commonpost.in or udumalai.in. You can also contact our union for guidance and support the legal actions. HR part on making people reason is so true! They treat them with total disrespect and I have seen this 3 yrs ago! And the person whom they target, treatment is even worse. Inspite of the fact that Salary is the revenue generated by the folks who worked in a project once, unfortunately now in bench, HR folks still take too much advantage over them to showcase their power! Very good advice given by the author. The article is 100% true. With all new changes, still old monks at the company will be benefitted. Some folks in the company are with same leadership for more than 10 years by bowing their bosses. Most of the accounts the associat s are treated like cheap labor by clients. No training provided or reimbursed if associate wants to pursue new career. Yes I am a victim too of Delta Airlines project, which TCS has bagged fro CTS , at least the part I am working with. February 2019 is the final transition to TCS , don’t know what is left in future. Already project manager had said we need to find other project within the organisation. So pathetic our lives are and has become like living through projects. Photos sent in by NDLF - IT Employees Wing members.